Summary THOMAS & FRIENDS: BIG WORLD! BIG ADVENTURES! THE MOVIE: is a children's animation in which a tank engine heads to Africa for an adventure of a lifetime. 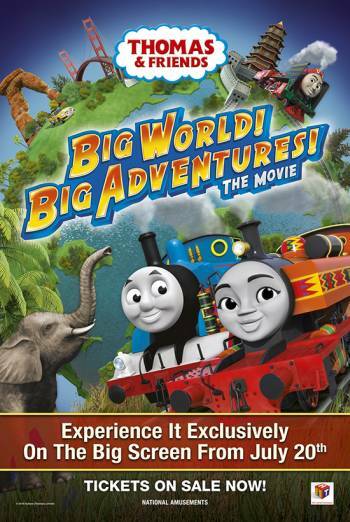 THOMAS & FRIENDS: BIG WORLD! BIG ADVENTURES! THE MOVIE: is a children's animation in which a tank engine heads to Africa for an adventure of a lifetime. Very mild threat includes a scene in which characters encounter trouble whilst travelling across a snowy mountain, and a scene in which a train becomes stuck on a cliff edge. There are also scenes in which a reckless sports car rides dangerously next to the tracks, causing accidents.